Click on the "Attachments" tab next to the "Descirption" tab just above to download the Art Template. 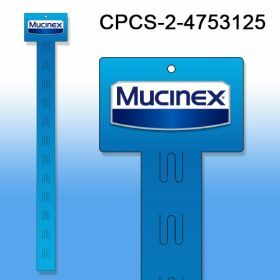 With this custom printed clip strip merchandiser, use our in-house template (see "attachments" tab), insert your artwork, and upload to our site above in our "UPLOAD FILE" link on this page above. Production Time: Production time may vary slightly based on our capacity at the time the order is placed. Standard production time is 2 working days to receive email proof. The time from proof approval would be approximately 7 working days from approval date for quantities of 100 and up to 1,000. Quantities over 1,000 may require additional production time and would be determined when order is placed. 2-sided printing and/or special packaging will also add additional production time to orders. Additional Versions / Lots: If you have more than one lot/version, please indicate the amount of each in the notes section on the checkout page. It is an additional $59.00 for each lot/version and each must be ordered in multiples of 100. Our customer service department will contact you regarding the details. Artwork Charges: No extra art fees if your order comes with approved digital art. (it is $60 additional for artwork that does not meet our specs). Custom Printed Clip Strips help you stand ou at retail. The header's POPS, making your brand rise above the clutter in-store, in retail environments. 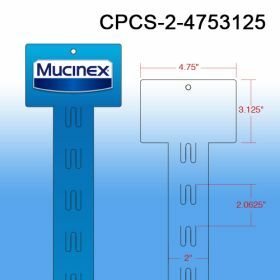 The printing down the 2" wide stem is revealed as the merchandising strip gets depleted of product, helping your product get more attention and sell faster. 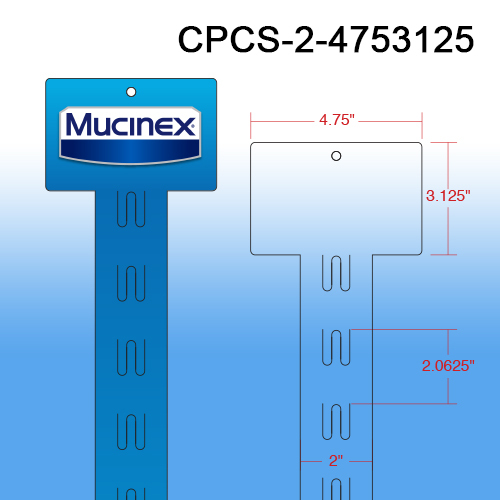 Choose 4/0 if you are merchandising your display strip flush to a store fixture, gondola or a retail store wall. Chose 4/4 if you are displaying your strip in a flag or aisle violator position.